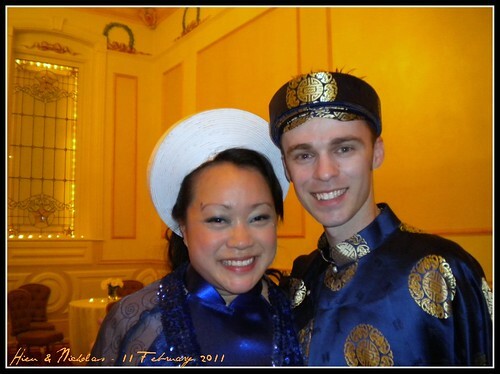 Nicholas and I in our Ao Dai! I went with blue - my favorite color, and Nicholas went with the traditional blue and gold. Mom and I had a fun time finding just the right fabric... and sequins. We had to have just the right amount of shiny! These were both custom made in Fort Worth by the same seamstress that made my sister's for her wedding. If you're in the area and want to have one made - we highly recommend her!